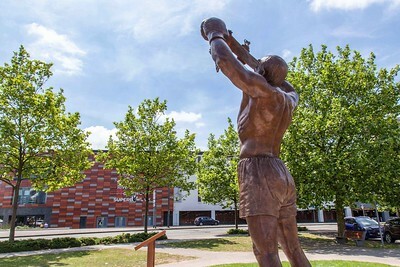 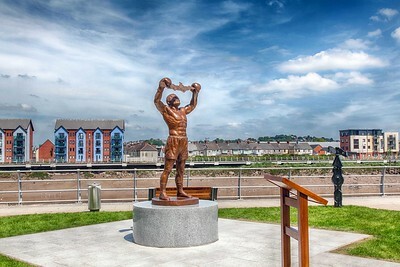 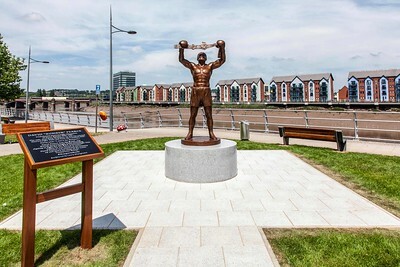 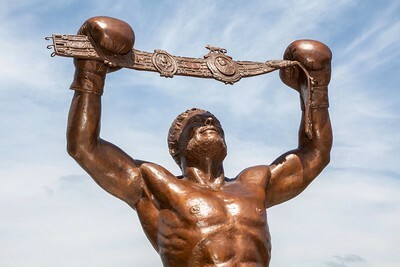 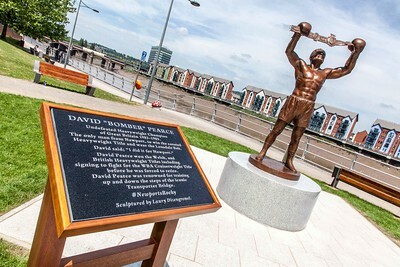 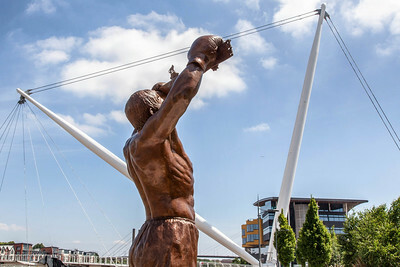 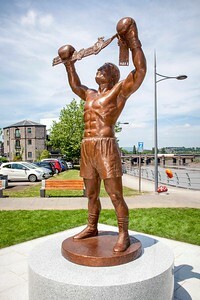 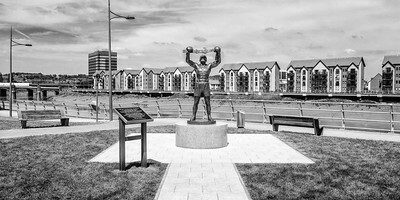 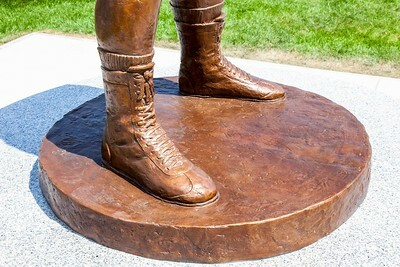 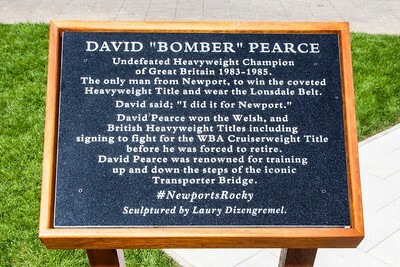 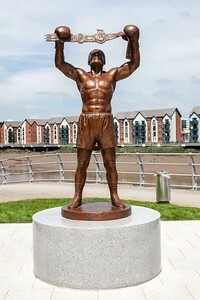 This statue of David Bomber Pearce, ('Newport's Rocky') was unveiled by boxing featherweight Lee Selby on 9th June 2018. 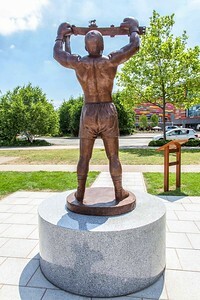 The bronze statue was designed by sculptor Laury Dizengremel. 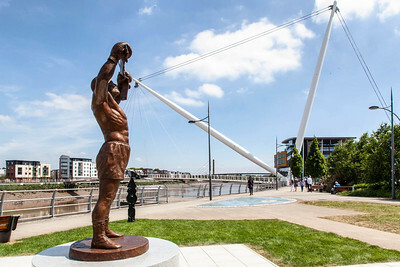 Images from the Newport City Originals photography series. 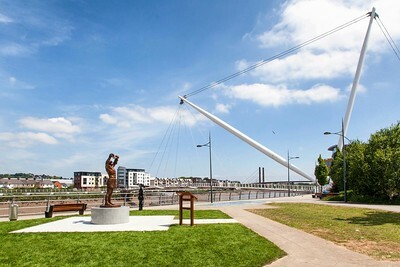 Standing on Kutaisi walk, between the Riverfront Arts Centre and the Millennium footbridge. 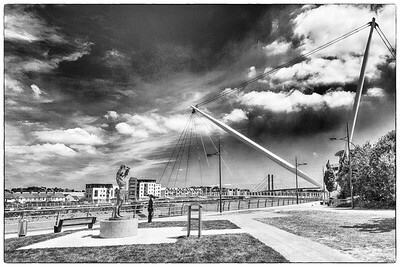 From the Newport City Originals series.